When it comes to donning prints this season you heard it first from us; the bolder the better. Bold prints may get a bad rap from sceptics who think of these patterns as gaudy and over the top. Yes, we won’t lie, some bold prints should stay out of plain sight, but others can be worn most stylishly; why shouldn’t you brave a little more colour? We have spoken to Melbourne’s iconic menswear fashion designers Dom Bagnato and Nunzio Bagnato who share their expert tips on how to wear bold prints to your advantage. Keeping your checks in check isn’t too difficult with the wide array of colours that this bold print looks phenomenal in. From the classic (solemn navies, black, deep charcoal, dove greys and chocolate browns) to more daring colour schemes (cherry reds, cobalt blues, grass greens and popsicle oranges), there is always a way to do checks justice. Forget little touches; check prints are worthy for more bold style statements that will turn heads and leave a lasting impression. For chilly days, a check scarf is the only statement you will ever need alongside your favourite sweater/chino combination or weekday suit. Check shirts are also versatile; our top colour choice is powder blue. 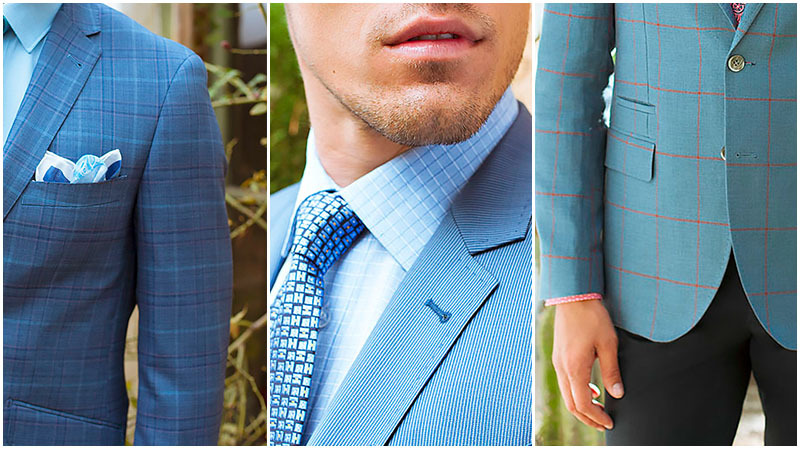 Dom and Nunzio recommend building on textured patterns to create a traditional preppy summer look that represents your personal style. 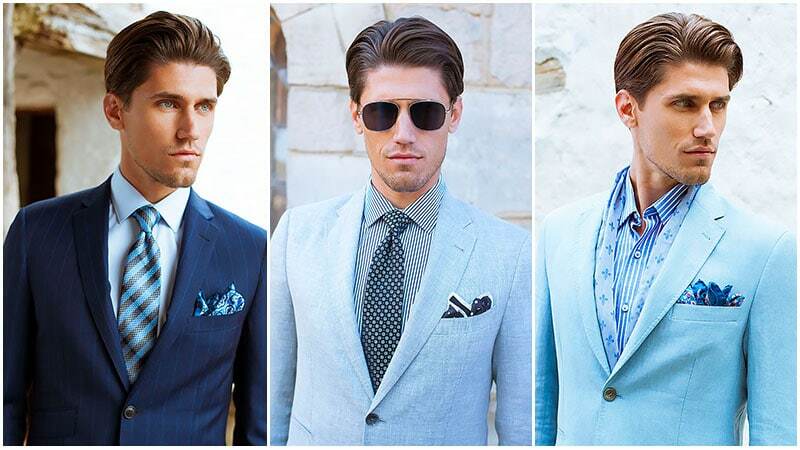 Adding some seasonal vitality across a selection of blues with a touch of Italian flair will elevate your look. Be it nautical, skinny or thicker versions, stripes are the perpetually stylish print that works for most dress codes. Who doesn’t love a striped tee, corporate striped tie or preppy striped sweater? Stripes are certainly the prints that keep on giving, and investment in striped pieces should be more than welcome. The key to finding great striped pieces that you can wear countlessly is to opt for classic colours. This will allow you more versatility, and make wearing a bold print something that you will not regret. For casual wear, find striped t-shirts, sweaters and even socks that incorporate colours like crisp whites, deep navies, powder blues, scarlet reds, warm burgundies and emerald greens for a mature take on a traditionally favoured print. Diagonal and horizontal stripes are perfect in silk ties for corporate outfits; just ensure that they complement your business shirts and the colour of your suits. Dom and Nunzio advise your look cannot be complete without the essential finishing touches. Let this spring racing season compliment your overall look, with a strong colour palette while being daring with a mixture of pattern and accessories to stand out. Keeping consistent with our recent street style trends, plant and floral prints are big news at the moment and are a fun take on bold prints. Get earthy with a tree, flower and plant shaped prints that will bring the great outdoors to your sartorial choices. Keep a natural theme consistent with the colours you select for your prints with rusty taupe, earthy khaki and treacle brown. This will ensure your take on natural prints is more mature, lending an earthy aesthetic to a print typically done in more bright colours. If you’re looking for little incorporations of this trend, keep an eye out for novel pocket squares bearing floral insignias. Get spotty with some interesting polka dot print apparel. While we advocated crazy bright prints for most of our other picks, polka dot prints should be done in more subtle colours for a refined aesthetic. Clean, simplistic toned shirts in lavender blues, whites, beiges and other natural tones are an unexpected take on this traditionalist print and will ensure your outfits register mature as opposed to clownish. Pair your subdued polka dots with other prints and simplistic suits for a well-balanced aesthetic. Keep things dimensional with round sunglasses and subtle pocket squares. For some serious psychedelic vibes, look no further than the bright, undisputable geometrics of kaleidoscope prints. Playful, intricate and fun, kaleidoscope prints are glowing representations of beloved childhood toys. When it comes to kaleidoscope prints, the brighter they are, the better. Kaleidoscope prints are best done when they pack a punch with vivid tones. The trick to pulling off crazy cool Kaleidoscope looks? Unlike stripes, it’s all about harnessing this print in smaller accessories. 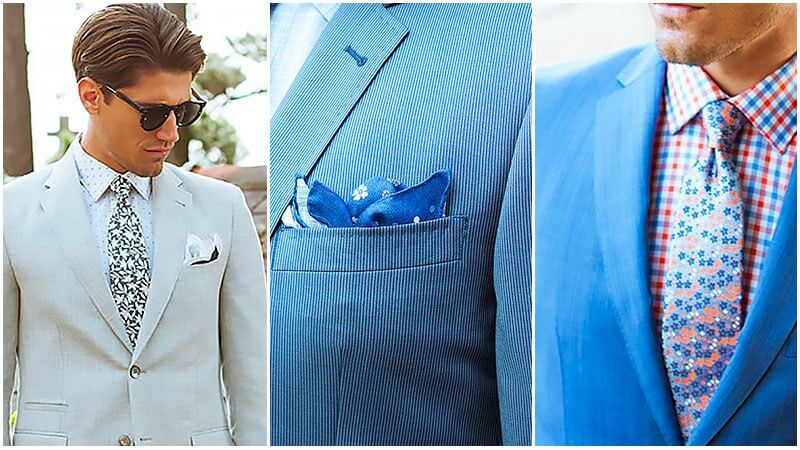 A kaleidoscope print pocket square is a great way to liven up a suit. Dom and Nunzio remind us that bold prints and patterned shirts embellish many of the lightweight spring inspired pieces including unstructured jackets, sports trousers and linen shirts. Gingham is the country inspired print that has been adopted into street wear most profoundly. Forever a trend in our eyes, gingham, is the print that will allow you a lot of versatility if you have a wardrobe full of classic, traditionalist hues and patterns. For weekend shirts, this print is best done in pastels, so keep in mind when you are shopping for them to go for powder blues, dusty pinks, barely-there lemons and avocado greens. This will help you achieve a layered look with your favourite slim chinos and suede loafers. 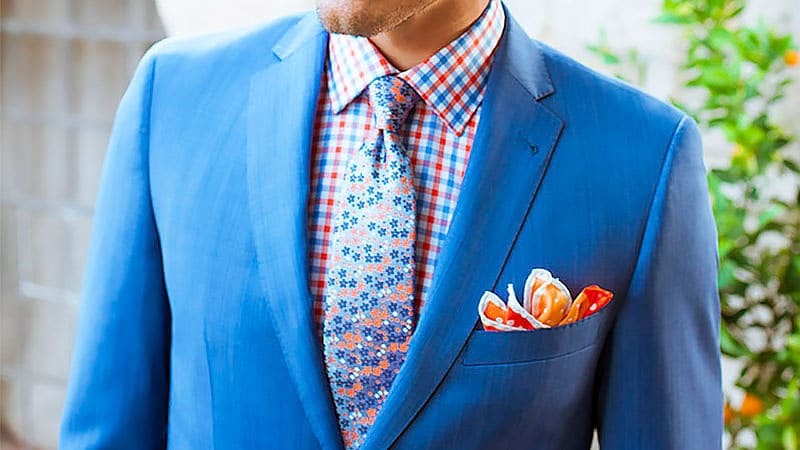 For dinners, gingham prints work excellently in all shades of blue, and more modern takes incorporating brighter shades like tangerine oranges and bright greens. While gingham works marvellously when done right; done wrong and it reads outdated and messy. The key to pulling it off is to opt for fitted shirts that will cut a more youthful silhouette. If you are after ties, you can afford to go a little bolder with your colour choices, but still, preserve an essentially classic look.